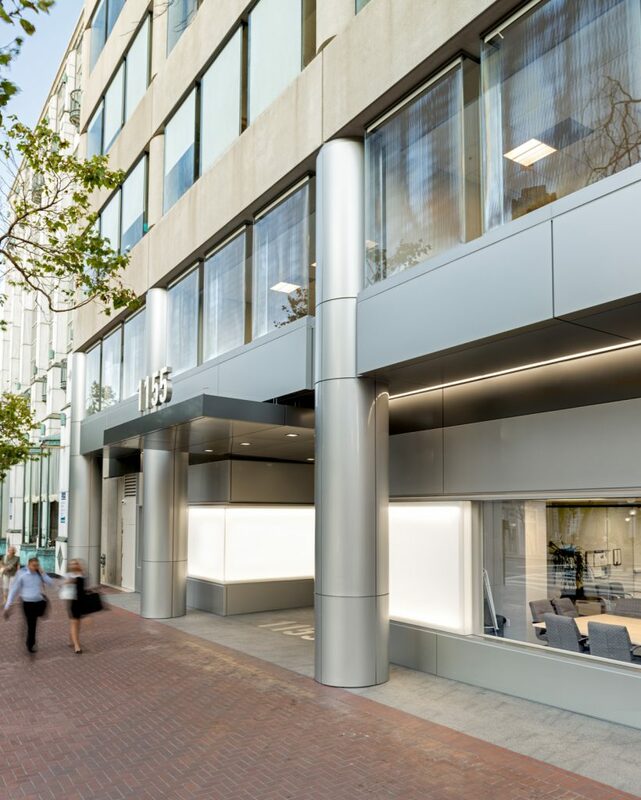 From bulwark to beacon: 1155 Market Street's renovation creates a new relationship to the streetscape. 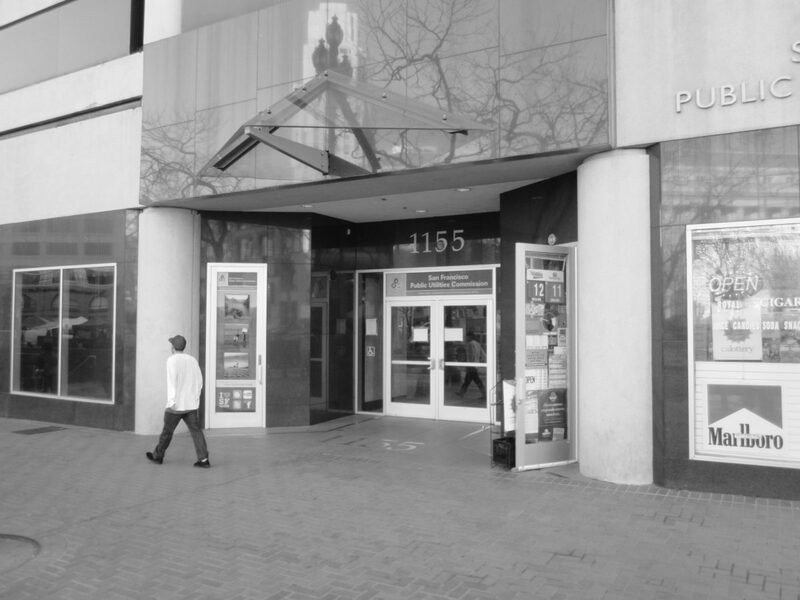 1155 Market Street’s existing façade presented a forbidding face to the public which did not resonate with the building’s new owners or its main tenant, the City and County of San Francisco. 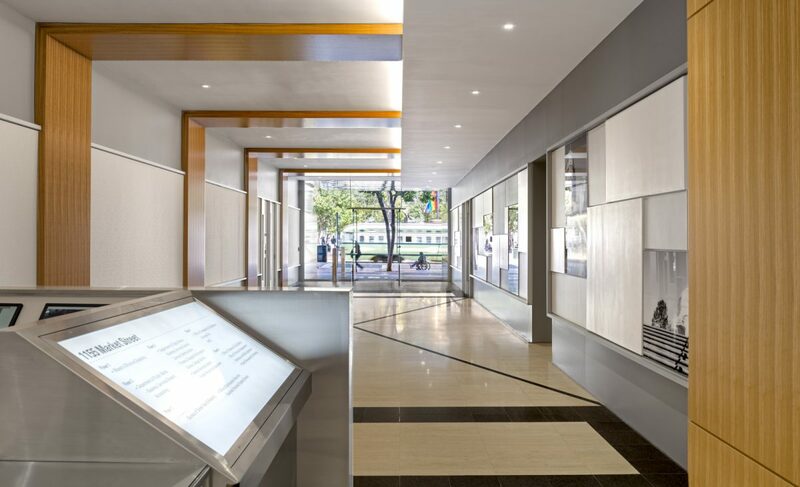 RMW’s renovation dramatically transforms the building’s exterior appearance and lobby by replacing the precast and black granite on the ground and second floors with metal panels and glass. Exterior lightboxes further enhance the entry’s sense of transparency and interaction with the street. Inside the lobby, dated arches were replaced with crisp angled design elements, and contemporary lighting illuminates the space. 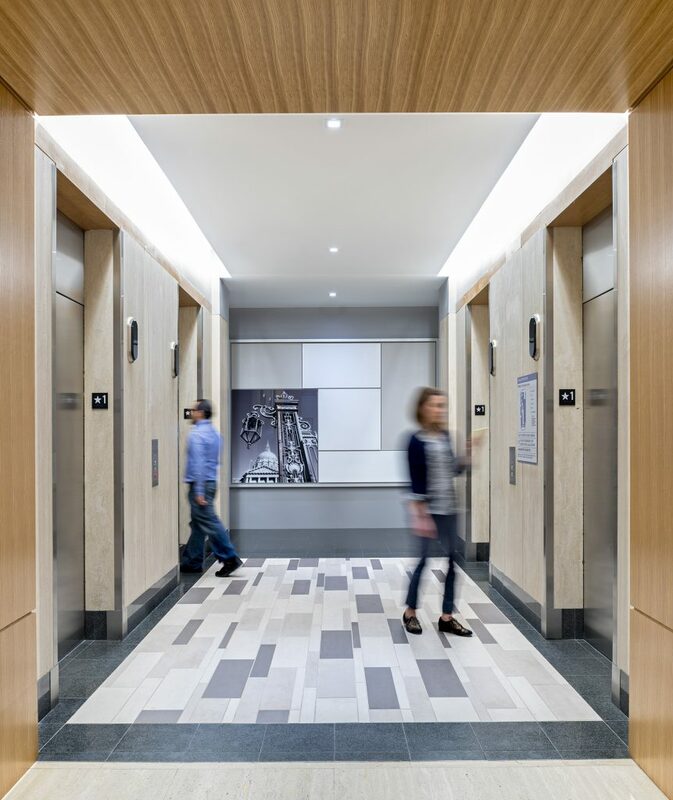 The overall impact gives the lobby more height, volume and light. Black-and-white wall graphics commemorate projects by the City’s Department of Public Works, which is celebrating 100 years of service. For the full before-and-after story, see RMW’s blog entry on 1155. 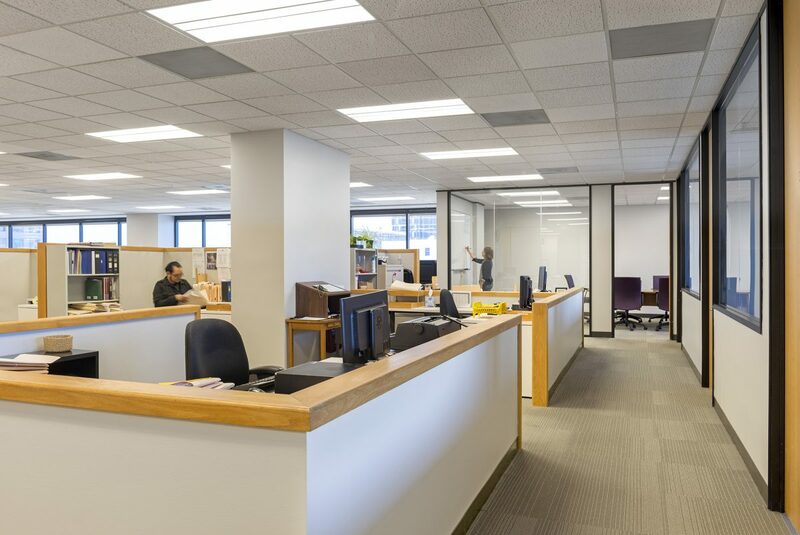 RMW also provided design services for the building’s common areas, and tenant improvements for eight floors leased by the City and County.